I have mixed emotions about this novel. Parts of it are so very well done, that the parts that come up a little short are glaring. This is not a hard (or even mild) science fiction story. You need to set your expectations from the start. 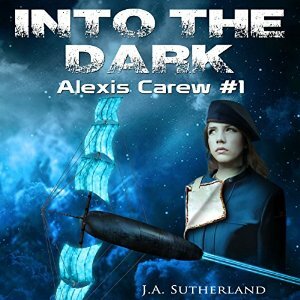 _Into the Dark_ sets the stage as an epic space fantasy of operatic proportions. Once you wrap your mind around science-as-magic, this is a fast-paced, enjoyable read and, a wonderful introduction to Science Fiction for Middle-Grades to YA. … the comfort and joy you get from this is entirely up to you. It’s been a while since I’ve updated this blog. That happens from time to time as I think I’m getting busy. It’s cyclical. Anywho, a lot has changed since April. 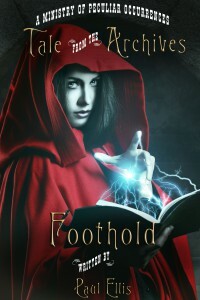 Project Blackford blossomed into Foothold (clicky the picture <– for more awesomeness & to buy direct). The free audio version is here. I do characterizations, and you’ll hear what the voices in my head sound like. I know, but listen anyway. Matter-of-fact, get the ebook and listen along while you read. Also available at Amazon & Smashwords. Check this space for changes in the coming hours & days! 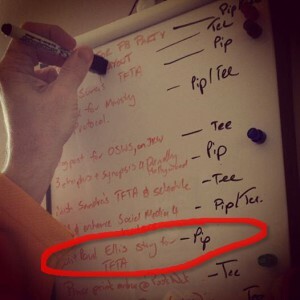 Next year is going to be a doozy! 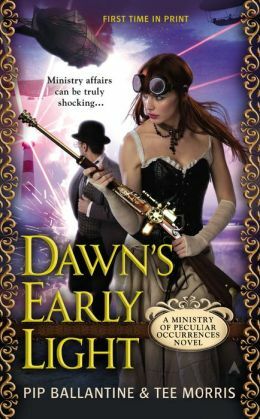 Today is the release day for Dawn’s Early Light, the third novel in the Ministry of Peculiar Occurrences series by Pip Ballantine and Tee Morris. This novel is a road trip! In brief, Books and Braun are sent across the pond to consult with agents of The Office of the Supernatural and Metaphysical regarding a case of missing airships and run across my favorite set of villains, the House of Usher! From there a madcap adventure ensues, providing all the fun, gadgetry, and derring-do of the previous novels. There are cameos galore, the Ministry’s version of ‘Q-Branch,’ steam powered cars, pop culture Easter Eggs, and a surprising twist at the end. Saddle up, and be forewarned; spoilers abound!